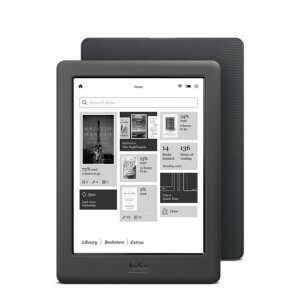 As a writer who was shortlisted for the inaugural Kobo Emerging Writer Prize, I was delighted to receive a surprise ‘runner-up’ package which included the Kobo Glo E-reader. I admit it; I’ve resisted the E-readers before this because there is something I love about the feel and reading experience of a print book. Well, since it’s been pushed to me, and being a frugal Dutch person who can’t stand the idea of waste, I decided I’d give it a go. I’ve loaded up some books (starting with a Charles Dickens I don’t have in print – Our Mutual Friend). It’s a new skill to read this way. I’m not flipping back as much to reread something. No footnotes – oh my! No chunky feel of the pages moving from the ‘as yet unread’ to the read side. I can’t say I’ve fallen in love with it, but I can certainly see the convenience of it. As with fast food, there is always something to sacrifice for convenience. It’ll be great for travelling. The other new way that I’ve been reading is out loud. This is rather a lost art (in the era of Dickens it was a common evening pastime) which I need to practice. I do regular readings of my book these days, but I find that I always feel better if I’ve done it at home, out loud, a few times before going in front of an audience. I don’t want to stumble. I want to make sure the emphasis and emotion are appropriate for the piece. It’s not as easy as it sounds. Go ahead. I dare you. Try it! So – the lesson in all of this is that, even with a skill like reading, which one learned and presumably perfected back in grade three, it takes practice, honing and being open to the notion that there is still more to learn. If you’d like to hear me read, and you will be in Gore’s Landing on September 12th at 4 pm, drop on by Pitchers Place restaurant. Can’t make that date? I’ll also be at the Cobourg Library on October 22. Drop in! I’d love to see you.